You are here: Home / Bank Jobs / SBI Specialist Cadre Officer Recruitment 2018 | Apply Online For 39 Special Cadre Officer Jobs @ www.sbi.co.in. SBI Specialist Cadre Officer Recruitment 2018 | Apply Online For 39 Special Cadre Officer Jobs @ www.sbi.co.in. State Bank Of India Announced the SBI Specialist Cadre Officer Recruitment 2018 on 29th November 2018 for the 39 Depity Manager Vacancies. Apply through online using @www.sbi.co.in within 04th December 2018 to 28 Dec 2018. For SCO posts, the Online registration started from 04th December 2018 only. End up this experienced bank job application form filling before 28 Dec 2018 to attend for the interview. State Bank of India invites online applications for the SBI Deputy Manager Recruitment Indian citizens for appointment in following 39 Specialist Cadre Officers post. Candidates are requested to apply online through link given on Bank’s website @ bank.sbi/careers or www.sbi.co.in/careers. All the well-wishers are applying through the Website which we had mentioned here on this site. So, If you are eligible then, immediately go through the registration process. The online registration starts on 04th December 2018. Who are willing & want to fill the form for the Post of SCO posts on regular & contract basis then, move to the registration process. 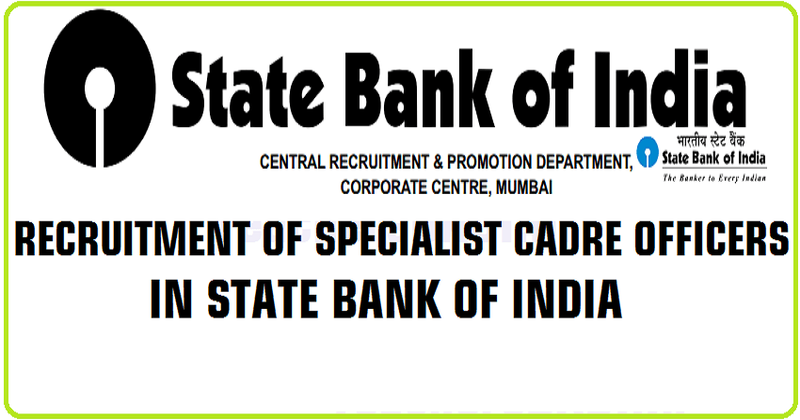 If you have any quarry relating to the SBI Deputy Manager Vacancy In SO Cadre Details you may visit @ RecruitmentIndia.in the main website. Newly, the latest employment notification was out from SBI, the SBI SCO recruitment notification 2018-19 has added from 04th December 2018. Up to 28 Dec 2018, it will be in opened. As per the SBI Officials, the SBI Board want to complete the Online SBI Deputy Manager Application Form process through the recommended websites only. The process of Registration of SBI Online application should be completed by 28 Dec 2018. Whenever the applicants starting the payment fee which should be deposited with the Bank through Online mode. It should be closed on 28 Dec 2018 only. So, keep in mind those important dates to submit the online application on time. Here you go to check all the information in one place. We are giving the most efficient & useful information regarding this SBI Deputy Manager Notification. So, whenever you fill the SBI Deputy Manager Application Form through the online mode, It will be very conscious while you fill the details through the online. So, you could reach the Written Examination after the application process completed. Here one more facility for you which is nothing but, Te Exam Syllabus we also give the wonderful facility for you if you really crack the interview which is purely based on your experience. So, catch the weapon to get more marks. In the mean, while you can finish the online registration process within the closing date of application. Also, you caught the Interview preparation tips for SBI Deputy Manager Vacancy In SCO post. The State Bank Of India widely announced the Online examination dates the one who is already registered through online for the SBI Deputy Manager Notification. Those all commonly attend for the interview in the month of Feb 2019. Now, the State Bank Of India Board Authorities will plan to release the interview Call letter only. So, The Date of interview comment on their official notifications. In case any reschedule will place then, immediately they will intimate for the participants on their official web page. All the eligible candidates can apply for this SBI Deputy Manager Recruitment 2018. Visit the official website for @ www.sbi.co.in.